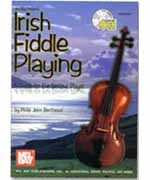 The book is designed to make the personal aspects of traditional Irish fiddle playing, improvisation and interpretation, accessible to novice players. Drawing on his experience writing out reels, jigs and other tunes for new players at a North London session and teaching fiddle, the author conveys what to do with tunes to make them your own. The first part of the book discusses such subjects as the 'language' of traditional music, posture, bowing, and effective practice, with a detailed analysis of left and right hand technique. The second section is a selection of tunes that demonstrate the ideas in the first part. The aim of the book is to allow the player to look more closely at their technique while also improving accuracy and speed. A recording adds an extra dimension to the learning experience.